Steiner’s minimal tree problem is this: Find the shortest possible network interconnecting a set of points in the Euclidean plane. If the points are linked directly to each other by straight line segments, we obtain the minimal spanning tree. But Steiner’s problem allows for additional points – now called Steiner points – to be added to the network, yielding Steiner’s minimal tree. This generally results in a reduction of the overall length of the network. 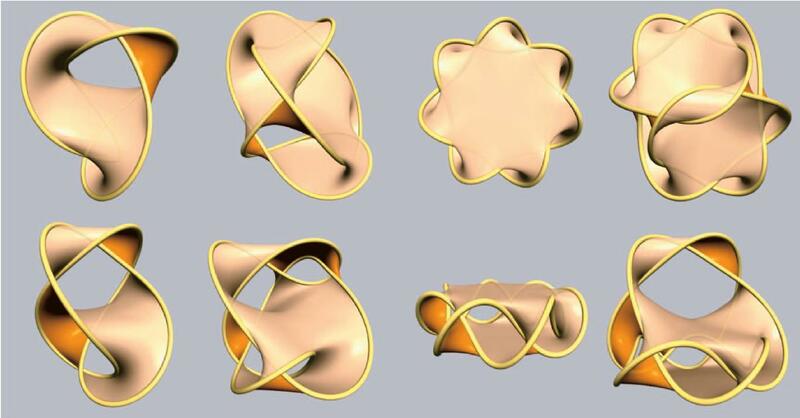 A solution of Steiner 5-point problem with soap film [from Courant and Robbins]. Bubbles floating in the air strive to achieve a spherical form. Large bubbles may oscillate widely about this ideal whereas small bubbles quickly achieve their equilibrium shape. 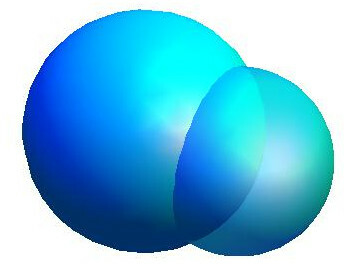 The sphere is optimal: it encloses maximum volume for any surface of a given area. This was stated by Archimedes, but he did not have the mathematical techniques required to prove it. 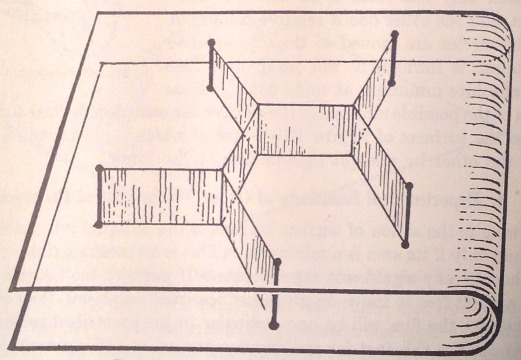 It was only in the late 1800s that a formal proof of optimality was completed by Hermann Schwarz [Schwarz, 1884]. 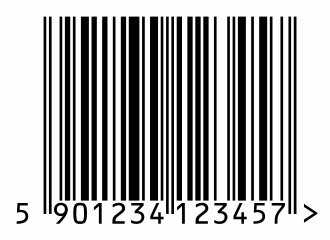 Barcodes and QR codes are described in this week’s That’s Maths column in The Irish Times (TM060, or search for “thatsmaths” at irishtimes.com). Seifert Surfaces for Knots and Links. We are all familiar with knots. Knots keep our boats securely moored and enable us to sail across the oceans. They also reduce the cables and wires behind our computers to a tangled mess. Many fabrics are just complicated knots of fibre and we know how they can unravel. From left to right: Figure-of-8 knot 4_1, knot 6_3 , knot 7_1, and knot 8_5 [Drawn with SeifertView (image from Van Wijk, 2006)]. 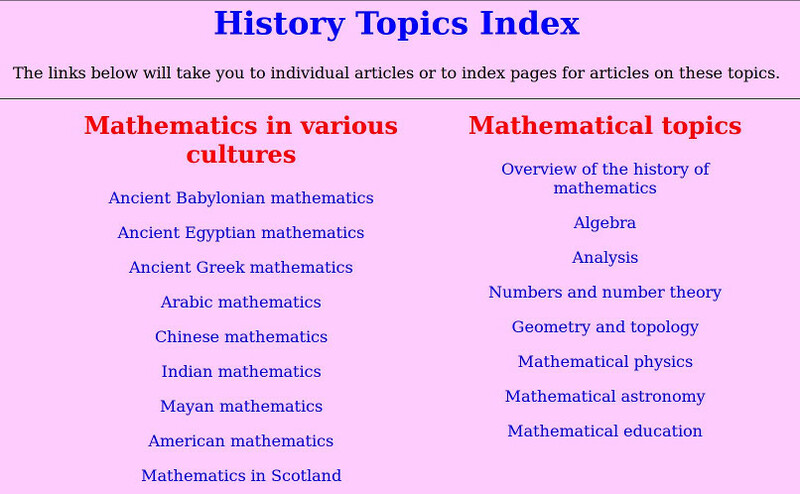 The MacTutor History of Mathematics archive is a website hosted by the University of St Andrews in Scotland. It was established, and is maintained, by Dr John O’Connor and Prof Edmund Robertson of the School of Mathematics and Statistics at St Andrews. MacTutor contains biographies of a large number of mathematicians, both historical and contemporary. In many cases, the Wikipedia entry on a mathematician directs to MacTutor for more complete biographical information. Screen image of the MacTutor page listing History Topics. 2014 annual report of WordPress.com for this blog.